These days the Muslims all over the world celebrate Eid ul-Fitr or Uraza bairam that means «breaking the fast» in holy Ramadan, the 9th month of Muslim calendar. 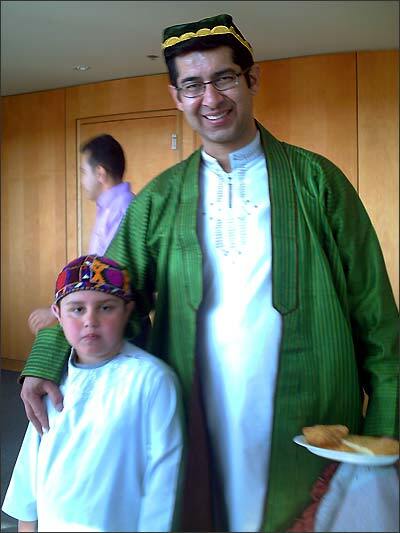 On Sunday, September 20th, the residents of Canadian city of Guelph – ethnic Uzbeks from Afghanistan – also celebrated Muslim holiday of Eid ul-Fitr. Festive namaz took place in the assembly hall of former Ukrainian cultural center, mainly attended by the representatives of Afghan and Saudi Arabia expat community. 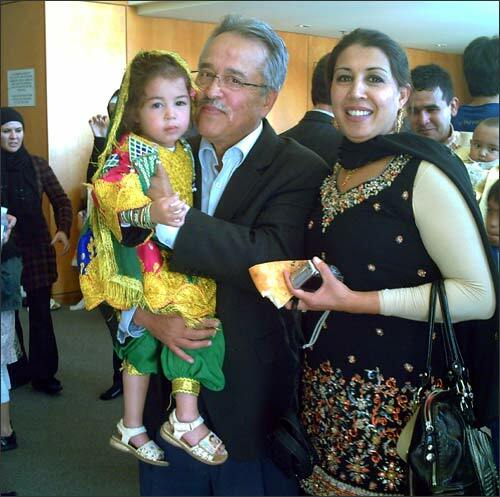 There are 150 ethnic Uzbek families from Afghanistan, residing in Guelph, located 100 kilometers away to the west of Toronto, which is the biggest city in the country. All the family members arrived in the cultural center hall early in the morning. 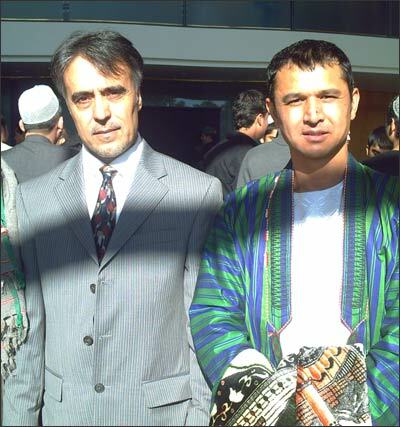 Many men were dressed up in their national costumes, very similar to the dresses in the southern parts of Uzbekistan. Women took seats in the balcony. 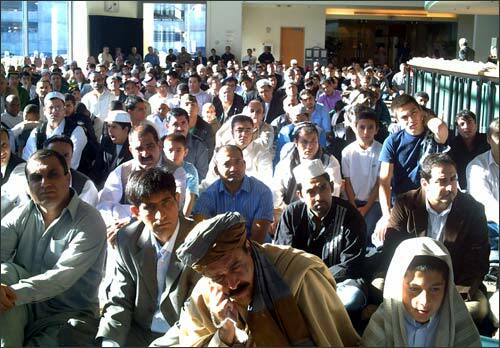 Overall, there were about 1500 Muslims. We were greeted by Najib Zoe Rahman, co-Chairman of Turkic nations Union of Canada and co-Chairman of Islamic community of Guelph, and Frank Valeriote, the deputy of parliament from the Ontario province. Finishing the pre-namaz speech, the Imam passed the microphone to the deputy. Mr. Valeriote underlined that Muslim community made big contribution to the development of the city. «I was raised in the 100% Christian environment. 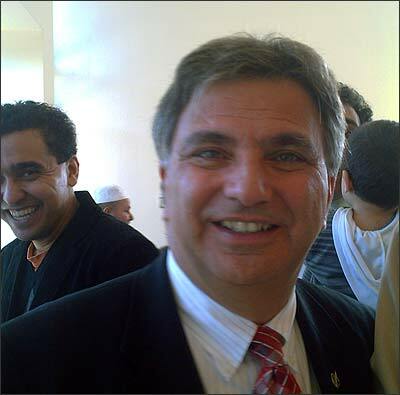 Muslims made Guelph truly international», he said. During namaz Mr. Valeriote made the same moves as other Muslims. After namaz, I asked him to answer my questions. - Mr. Valeriote, why did you come to celebrate Muslim holiday? - I came to celebrate Eid ul-Fitr with my brothers that practice Islam. I deeply respect the activities, run by Islam community of Guelph. It is an honor for me to be invited to this holiday. - What are the needs of local Muslims? - We need to help them integrate in our society. The life experience of various ethnic groups in Canada may enrich and become more significant for our children. I want to help this endeavor come true. - You mentioned that you do not like «multinationality». - Yes, I prefer such words as «internationalism» and «interethnic». We need to help each other in different life aspects and integrate in order to better understand each other. Overall, admitting single God, we all are brothers and sisters and we should always help each other. - What did you feel during namaz among other Muslims? - I did namaz many times in the past – I stopped counting the number. I am flattered that Muslims give me an opportunity to participate in such holy ceremony. The first Afghan Uzbeks arrived in Guelph about 40 years ago. They lived in the northern part of Afghanistan that used to bear the name of Afghan Turkistan. The majority of Uzbeks moved to the town about 25 years ago – during the war of Soviet army with mujahidin. 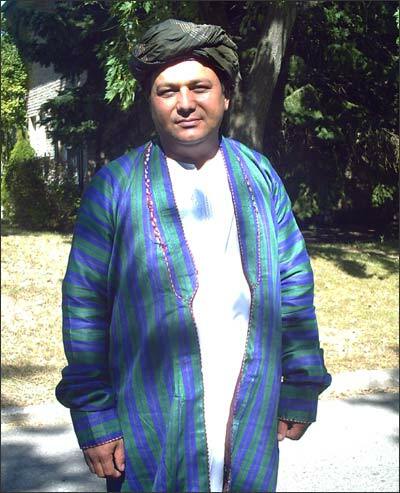 The Chairman of Afghan Uzbek community Najib Zoe Rahman moved to Guelph recently – only 10 years ago. As other Uzbeks he is the rightful citizen of Canada. - Najib Aka, how many Uzbeks are in Guelph? - I do not have exact numbers, but there are more than 500 people at the age above 18. - Where are you from originally? - I was born and raised in Maymana in northern Afghanistan. The Uzbeks of Guelph are mainly coming from Fariab oblast and Andha city in particular. - What is their main occupation? - Many of them are private entrepreneurs. The others work for various companies. - What is the attitude of local Uzbeks towards Uzbekistan? - Despite the fact that Afghanistan has a state border with Uzbekistan (the Amu Daria river) we are single nation; we drink water from the same rive and we cannot be separated. You (pointing at me – editorial note) are our elder brother. Most of our compatriots visited Uzbekistan. Some of them are married to the citizens of Uzbekistan. I also got a chance to visit «Uzbek» mosque in Guelph, which formerly belonged to Christian church. The layout reminds the church, but the inscription above the entrance door confirms its current status. Najib Zoe shared that the building was purchased for 550 thousand Canadian dollars, donated by local Uzbeks. The mosque is also visited by Pashtun, Tajik and other Muslims. The holiday of Eid ul-Fitr in Canadian Guelph was concluded by events, dedicated to life of great philosopher and scientist – imam Al-Buhari.